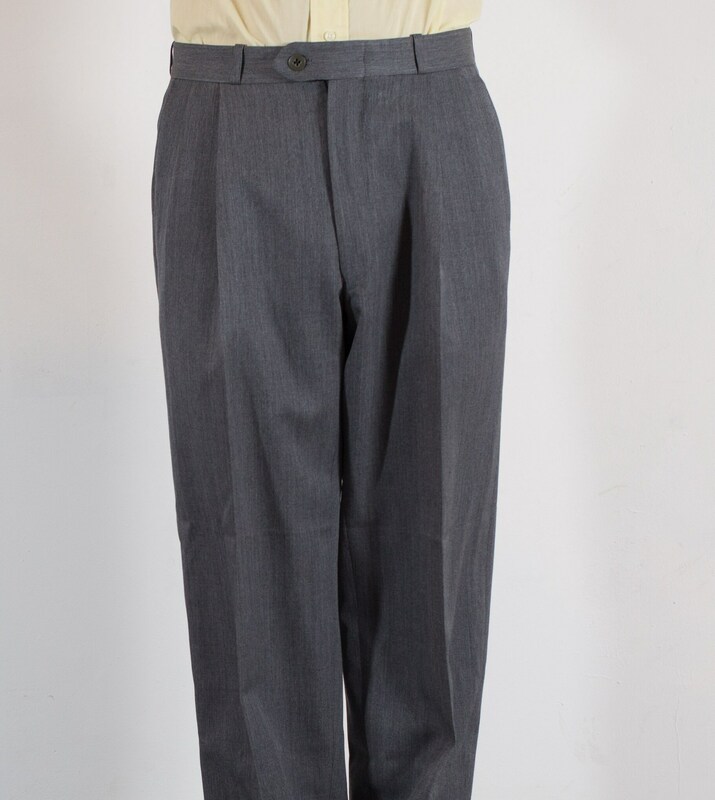 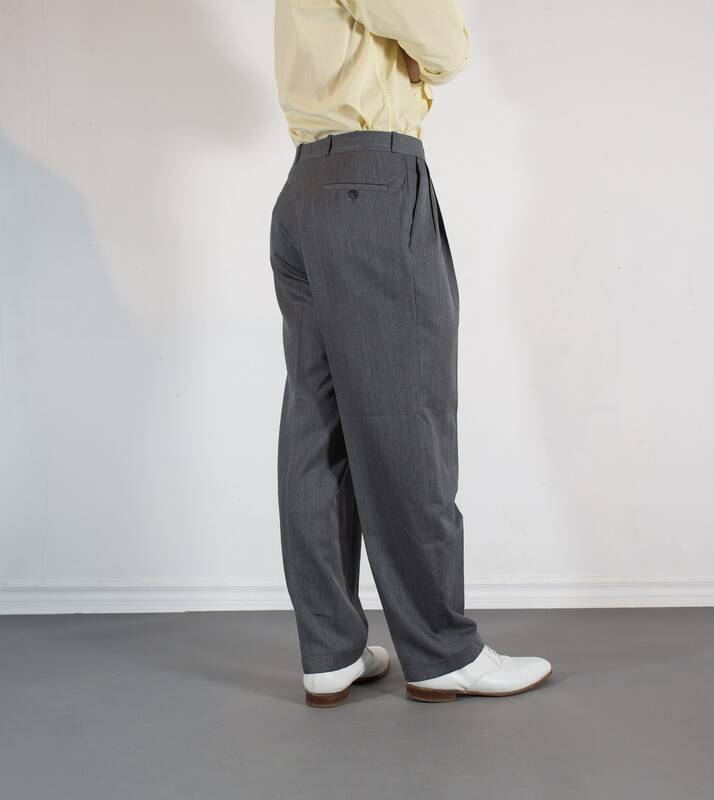 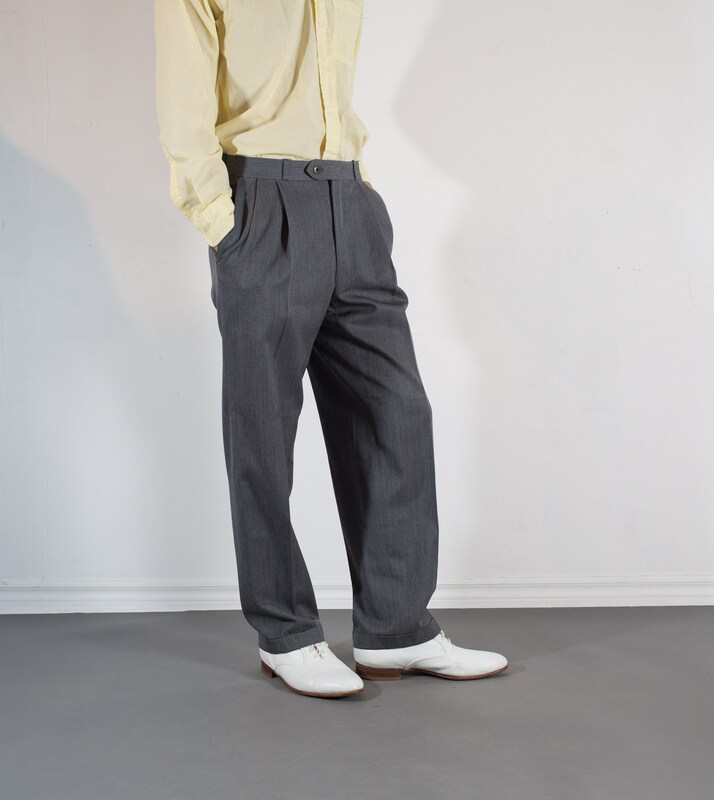 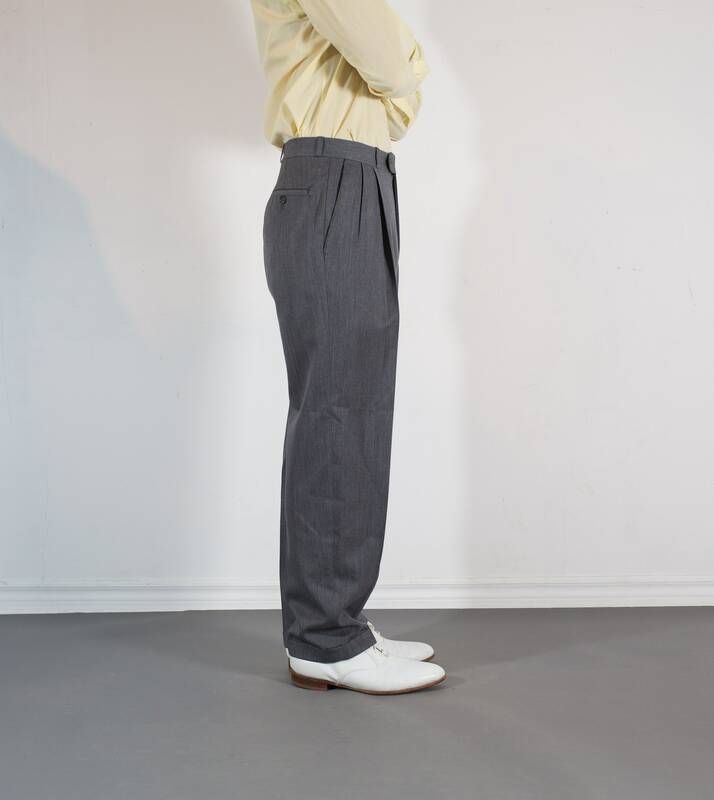 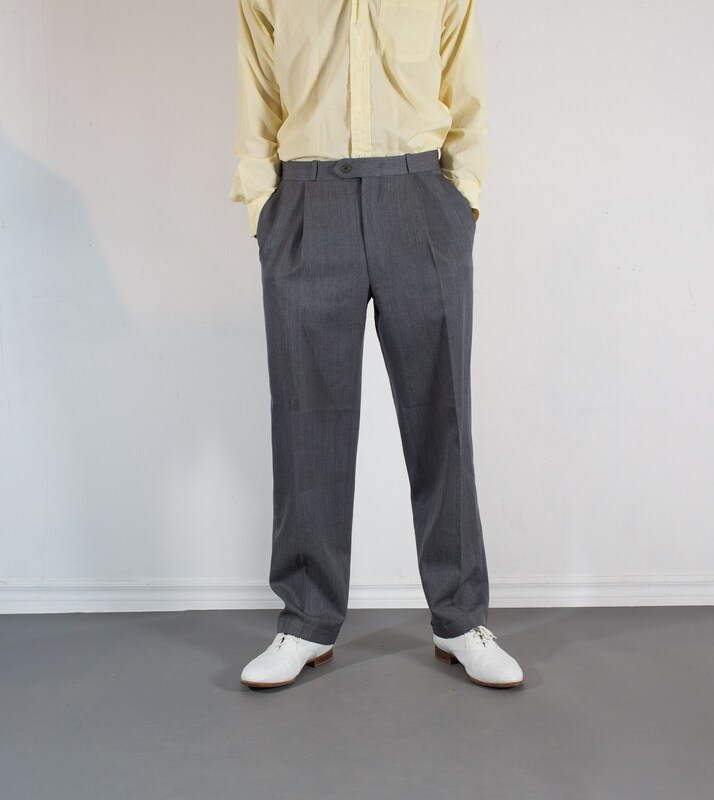 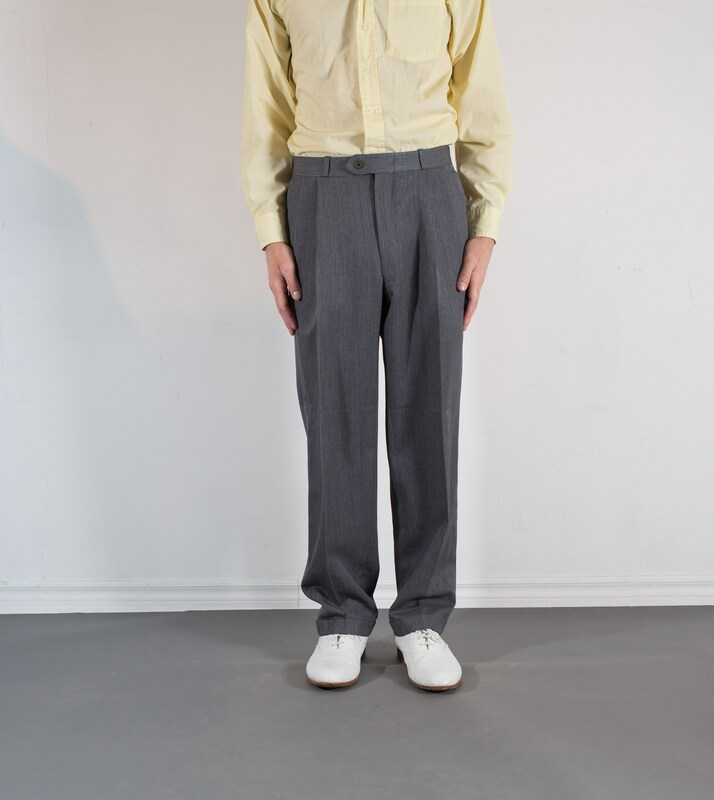 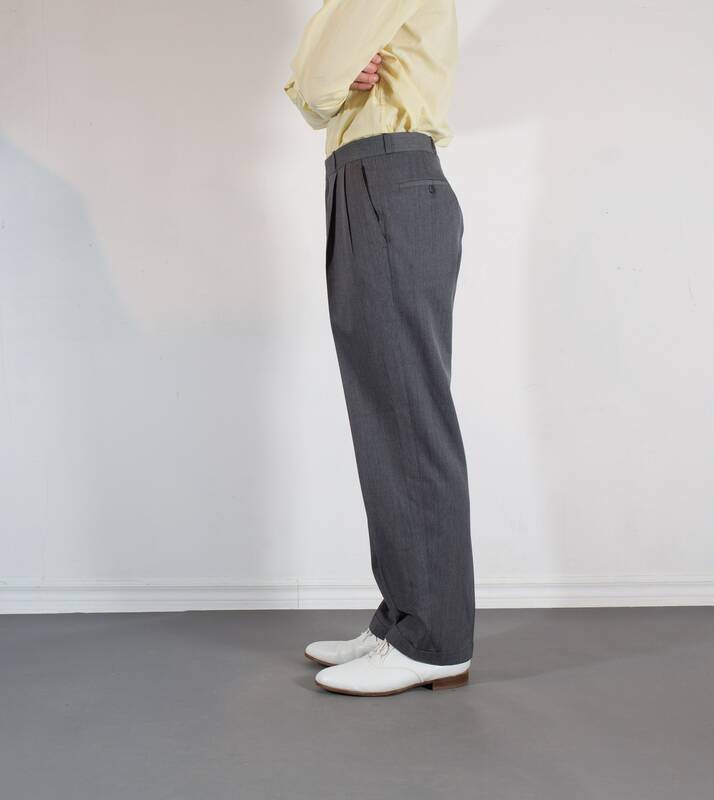 This is an excellent pair of vintage grey pleated dress pants with cuffs. 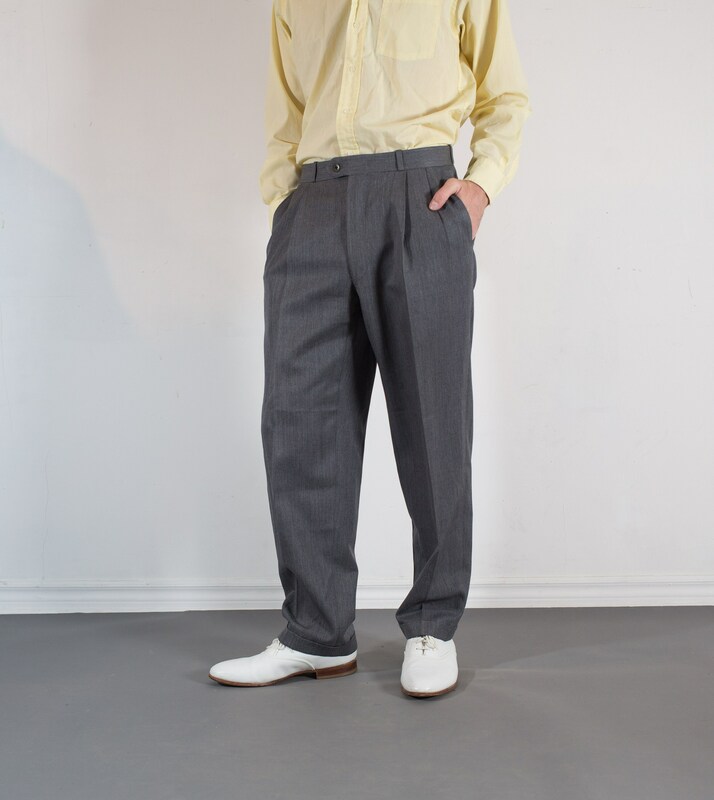 Size: 32” (model wears medium). 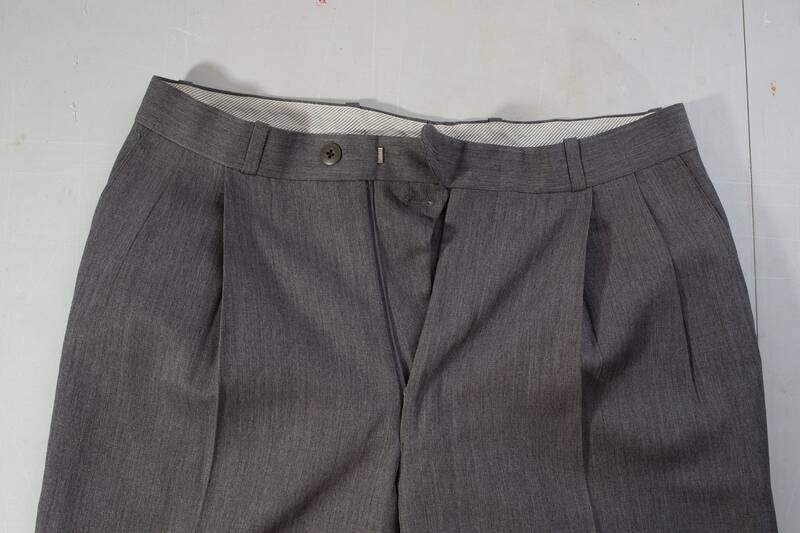 Closure: button clasp and zipper. 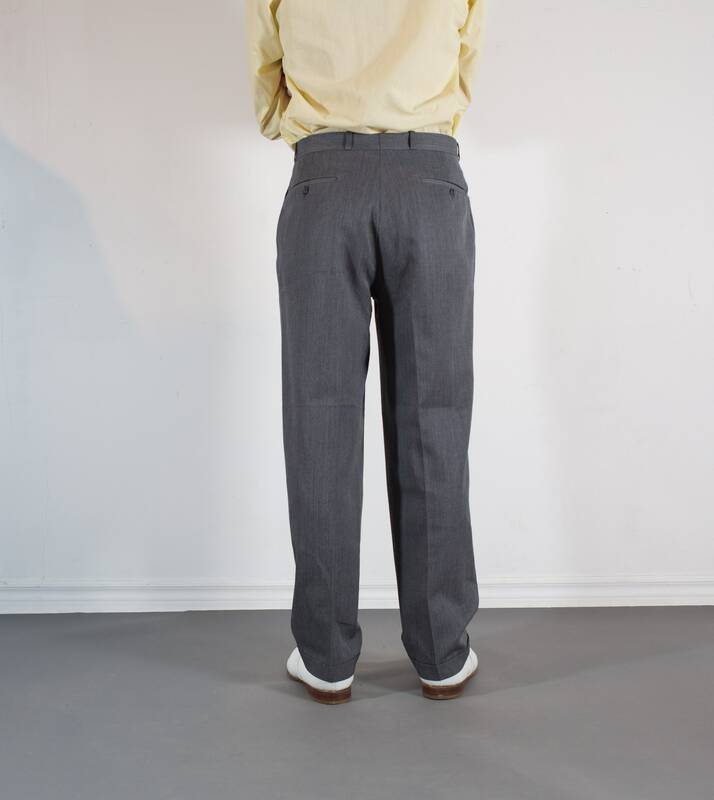 Care: cold wash delicates or dry clean.